Jackson State University, through the Institute of Epidemiology and Health Services Research, has been awarded a five-year $5.4 million grant by the National Institutes of Health – National Institute for Minority Health and Health Disparities (NIMHD) to establish a NIH Transdisciplinary Center of Excellence on National Health Disparities. 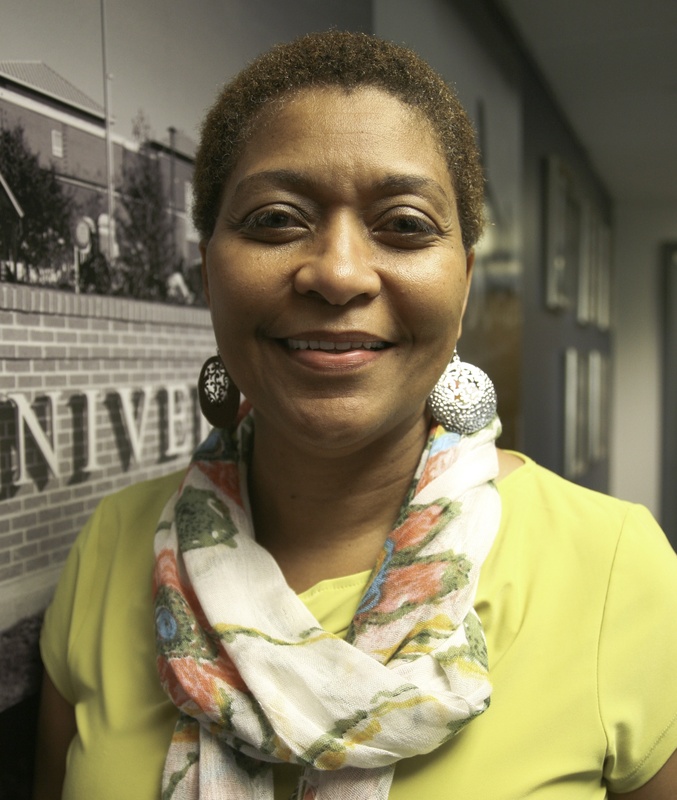 The Center will be managed by Dr. Marinelle Payton who serves as the Assistant Dean for Research in the College of Public Service and Principal Investigator of this grant award. “This project has much public health relevance in that it will utilize multi-transdisciplinary research approaches and strategies to implement multi-level individual, population –based, and policy interventions to address health disparities, especially, as related to obesity and becoming a model for understanding and improving the health of minorities and underserved populations in Mississippi,” says Dr. Felix Okojie, Vice President for Research and Federal Relations and Professor of Public Health and Education. intensive, multidisciplinary research projects and approaches designed to accelerate the translation of research findings into improvements in patient care, community health, education and training of current and future health disparity researchers and practitioners. The specific aims are to: develop and maintain an administrative and institutional infrastructure to support the project as a whole; advance scientific understanding of the interrelationship between abdominal obesity and genetics; carry out translational research that will contribute to knowledge and eliminate health disparities; provide exemplary research training and education activities to students and junior faculty from health disparity populations to increase the numbers of well-trained researchers from minority and health disparity populations; and, to engage minority and health disparity communities in effective and sustainable partnerships and activities for improving the health of their communities, increasing the numbers of individuals from minority and health disparity populations engaged in research activities for increasing health literacy and knowledge of health disparities. Most significantly, the Center will enhance the quality and quantity of research on minority health and health disparities, provide high quality research career development training, and strengthen community ties. “As a result of being funded as a NIH Center of Excellence on Minority Health Disparities, Jackson State University will be eligible to apply for the endowment funds available for health research, education, and training,” according to Dr. Felix Okojie. (JACKSON, Miss.) – Jackson State University has been awarded one of six Partners for Research and Education in Materials (PREM) awards from the National Science Foundation as a result of the 2012 PREM competition. The PREM award, which amounts to $3 million over five years, will help fund JSU’s research in the area of multifunctional nanomaterial. 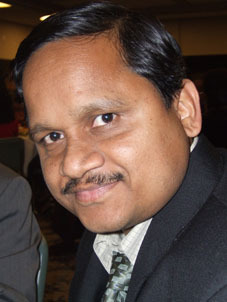 “We are aiming to make nanosensors, which can be used in the purification of water and cleaning contaminants from food samples,” said chemistry and biochemistry professor Paresh Ray, who is the project’s principal investigator. The funds also will help JSU researchers develop new materials including multifunctional hybrid nanomaterials made from gold and carbon nanotubes. 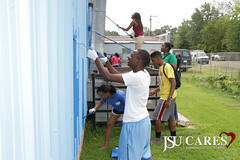 The Jackson State University PREM also will fund educational and outreach activities including NanoDay events at local high schools, the Mississippi Museum of Natural Science and the Memphis Zoo, and the development of a cooperative materials science Ph.D. program in partnership with the University of California at Santa Barbara MRSEC. The PREM award is the second received by JSU. In 2006, the university received a $2.75 million PREM award, which Rays said helped bolster the success of the Center for Nanoscience and Nanotechnology. Over the last five years, center researchers have published 78 papers in top-quality journals, Ray said, and high school and college students trained at the center have gone on to study at leading universities including Rice, Purdue and the University of California, Berkeley. The other 2012 PREM award recipients include the California State University, Howard University, Norfolk State University, Texas State University – San Marcos and the University of Texas at El Paso. The new partnerships will impact a wide range of materials research and education, including nanomaterials and nanotechnology, biomaterials and biotechnology, electronics, spintronics, soft materials, polymers and materials for renewable energy. The objective of the PREM program is to broaden participation of underrepresented minorities and enhance diversity in materials research and education. This is accomplished by stimulating the development of formal, long-term, multi-investigator, collaborative research and education partnerships between minority-serving colleges and universities and NSF’s Division of Materials Research (DMR)-supported centers, institutes and facilities. These awards were made possible through partnership with DMR; the EPSCoR program in NSF’s Office of Integrated Activities; and the Historically Black Colleges and Universities Undergraduate Program and Research in Disabilities Education program in NSF’s Education and Human Resources directorate. Eli Lilly and Jackson State University have just signed a Materials Transfer Agreement (MTA), giving the university membership to Lilly’s Open Innovation Drug Discovery Program (OIDD). Eli Lilly was founded in 1876 and is the 10th largest pharmaceutical company in the world. The company conducts clinical research in more than 55 countries, has research and development facilities located in eight countries, manufacturing plants in 13 countries, and the company’s products are marketed in 125 countries. “This is an exciting opportunity for research at Jackson State University. It gives our researchers no-cost access to compound screenings, but more importantly, it provides an opportunity for licensing agreements with Eli Lilly,” says Dr. Felix A. Okojie, Vice-President for Research and Federal Relations at Jackson State University. As a member of the Open Innovation Drug Discovery Program, Jackson State University will have no-cost access to Lilly’s internal screening of small molecules, natural products and natural product derivatives. The benefits of the program include: access to highly relevant screening assays and publication-quality biological data to test hypotheses, increased access to resources, the possibility to establish collaboration with Lilly, and the opportunity to advance laboratory science. Submitted compounds should be at least 90 percent pure based on contemporary analytical characterization. Participation in the OIDD is limited to institutions that are research universities, institutes and biotech companies. Dr. Felix A. Okojie at 979-2836 or faokojie@jsums.edu. (JACKSON, Miss.) 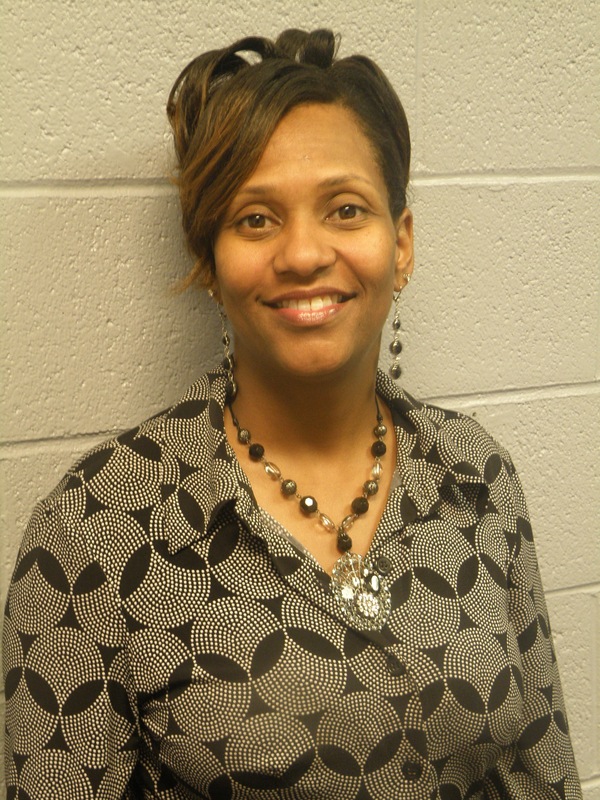 – Jackson State University Admissions Director and Enrollment Manager Stephanie Chatman has been selected as one of 23 representatives nationwide to serve on the National Guidance and Admission Assembly Council of the College Board. Chatman also will serve on the College Board’s Southern Regional Council. The Assembly Council is made up of college admissions and high school guidance professionals who work on issues to help students move from high school to college. The council also addresses matters related to professional ethics and educational standards and provides advice to the College Board about programs and services related to precollege planning, assessment, admissions and retention. Chatman is the only representatives from a Historically Black College or University selected to serve on the national council. Other institutions represented include the University of Maryland College Park, the University of Washington, the University of Southern California, Cooper Union and the Center for College Readiness. Chatman earned a bachelor’s degree in business management and a master’s in guidance and counseling from Jackson State University and has worked at JSU for 26 years. She has held positions as Director of Financial Aid, College Work Study Coordinator and Grants and Contract Officer and has served on various university committees including the Graduation, Founders’ Day, New Student Orientation, Athletics Compliance and Academic Scholarship committees. 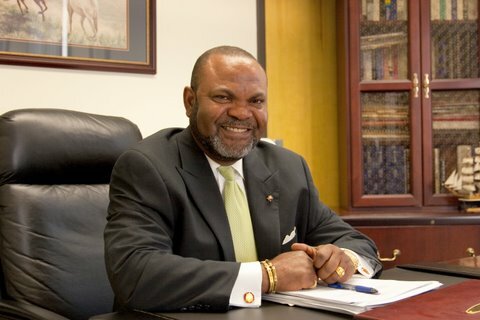 Chatman also has held several leadership positions in professional associations including the Mississippi Association of Collegiate Registrars and Admissions Officers, the Southern Association of Collegiate Registrars and Admissions Officers and the Mississippi ACT Council. The College Board is a not-for-profit membership organization committed to excellence and equity in education. Its mission is to connect students to college success and opportunity. Chatman will serve on the national council for three years. 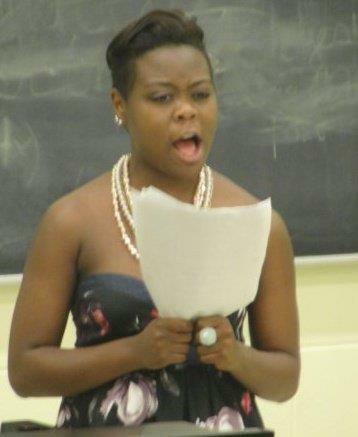 Jackson State University senior Tiffany Shayvonne Williams will be competing in the largest Classical Singers Magazine Competition in the country from May 25-27 at the Westin O’Hare Hotel in downtown Chicago. Williams graduated from JSU in April with a Music Degree with Piano emphasis and will again graduate from JSU in December with a Music Degree in Voice. All Chicago area JSU alumni and friends are invited to attend this event and support Williams. Call 601 906-8023 or 601-981-6027 to offer support or get further information. Jackson State University has been awarded $250,000 per year for five years – which amounts to $1.25 million – to support Upward Bound@JSU. The program will provide college access and opportunities to low-income and/or first-generation college students and parents within Jackson Public Schools District high schools including Jim Hill, Forest Hill, Lanier, Provine and Wingfield. 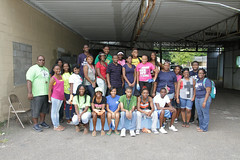 Upward Bound@JSU will serve 50 students annually who will participate in academic-year services and a summer academy. 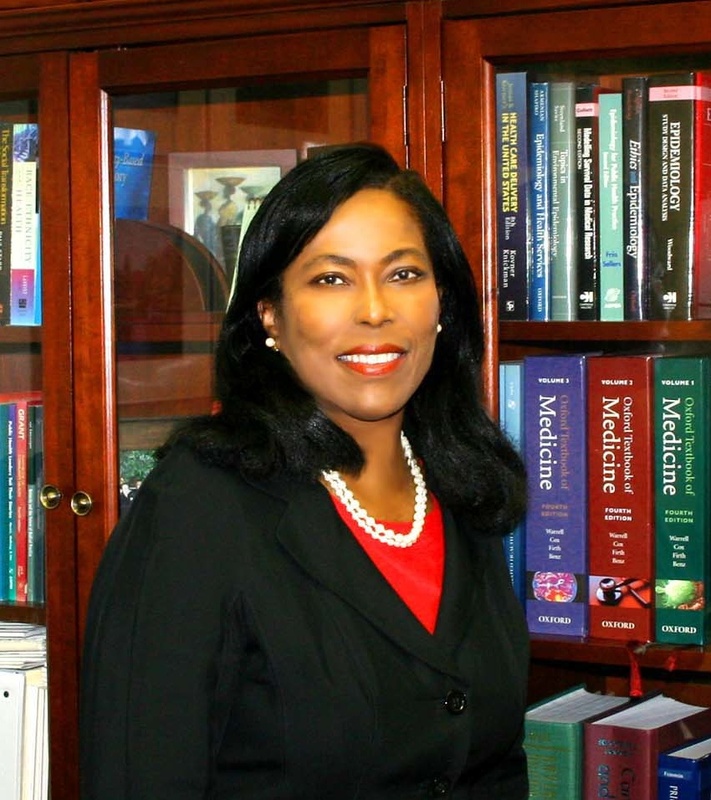 Dr. Loria Brown serves as the principal investigator and Reginald Castilla as the director. For more information, call 601-979-2464. Attention Summer I 2012 Distance Learning Students… Register now for the Blackboard Online Student Orientation. 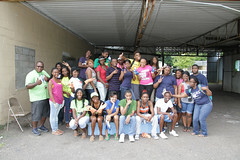 The course begins on May 28, 2012 and ends on June 25, 2012. The orientation course will be conducted completely online via Blackboard. If you have any questions, please call Mable Williams (601) 979-0781 or Tamika Moorehead (601) 979-1369.